You need to click on the chain link icon (shown circled in red below) to break the link between the width and height, to be able to enter different values. Not the answer you're looking for? 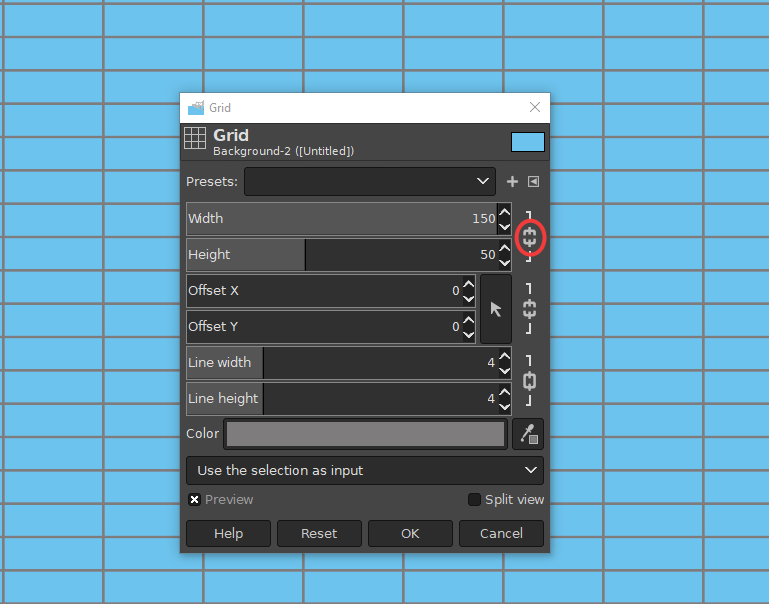 Browse other questions tagged gimp grids or ask your own question. How to create an irregular triangle grid in Illustrator? Can I adjust the grid to fit the screen size?